Top Five Lawn Mowers For 2019 - Which? We round up the top-scoring budget, electric, cylinder, petrol and push lawn mowers to help you find the best one for your garden. Our tests have uncovered big differences in quality across the full range of lawn mowers available on the market. 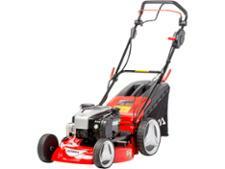 In the past we’ve found Don’t Buy lawn mowers costing over £600 and Best Buy lawn mowers for less than £150. We've also seen that sometimes, older models will outperform newly launched models, so new doesn't always mean improved. All of the lawn mowers in the table below have been put through our rigorous field testing, so you can be sure they’re the best of the bunch for cutting grass while also being easy to use. 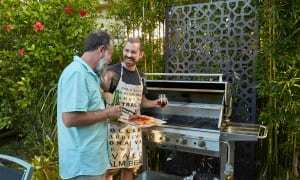 Take a look at our top picks of lawn mowers in the table below. Which? members should log in now to view our recommendations below. If you’re not already a member, join Which? to get instant access to all our reviews. Although it's a little pricier than some other mowers of around this size, this Best Buy is one of the only cheap lawn mowers that is actually good enough for us to recommend. It cuts well and leaves your lawn looking smart. It fills the grass box right up, so you won't be running to the compost heap more than necessary. It's light, but feels like a sturdy machine, and it has some features that make it easy to use. This Best Buy mower is very easy to use, with comfortable handles, and a brilliantly simple method for adjusting the height of the cutting blades and the handle. It does a good job of cutting all types of grass and leaves a neat, striped finish. 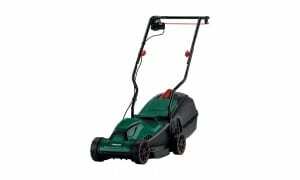 It's a great choice for people with large lawns to cut, although its larger size does impact slightly on how easy it is to manoeuvre around obstacles. 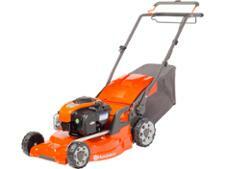 This excellent mower is our top-scoring powered cylinder lawn mower. It copes with longer grass and gives a very neat finish on short lawn. It's self-propelled so it doesn't need much pushing and is easy to manoeuvre. 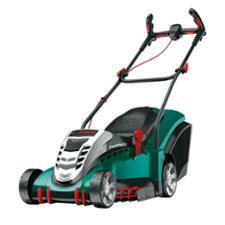 The front and back rollers enable you to cut right over the edges of the lawn and produce bold stripes. This is a great little petrol mower and a worthy Best Buy as it gives a very neat finish to your lawn and is easy to handle. It doesn't have many features, but those it does have work really well. If you've had experience of lawn mower bodies that rust through then the plastic deck of the R40 is an attractive feature and it makes the mower light and easy to manoeuvre. If you're after a beautiful lawn without the noise and fuss of a powered machine then this large push cylinder mower is an ideal choice. It's quite wide so covers the ground quickly and gives a neat finish. This robust mower copes well with cutting both long and damp grass and collects the clippings quite well. 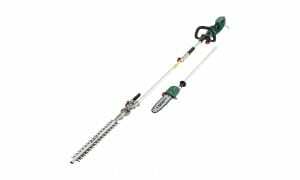 It has a wide range of cutting heights and gives an impressively neat cut on short grass. The cutting-height adjuster is very easy to use. Table correct as of 1 November 2018. The only way to tell if a lawn mower is any good is to use it to cut lawns in a variety of different conditions, which is why we do exactly that in our Which? independent lab tests. We cut long and short grass when it's dry and when it's wet to find out how well the mowers will cope with cutting your lawn. Not all lawn mowers are great. Here are two models that could leave you feeling underwhelmed, either because they don't cut well or because they're tricky to use.